Artesian Springs and Birkhill apartments offers safety, stability to a mix of tenants. Al Hartmann | The Salt LakeTribune Hooper Knowlton, left, and son Bill Knowlton stand in front of the third phase of Artesian Springs, a new affordable housing project at 4200 S. Main St. in Murray. The apartments haver been developed on the site of the old Murray Laundry tower (in the background.) The art deco style tower that's been there for decades and a landmark is being restored. Al Hartmann | The Salt LakeTribune Hooper Knowlton, left, and son Bill Knowlton stand in front of the third phase of Artesian Springs, a new affordable housing project at 4200 S. Main St. in Murray. The apartments haver been developed on the site of the old Murray Laundry tower (in the background.) The art deco style tower that's been there for decades and a landmark is being restored. 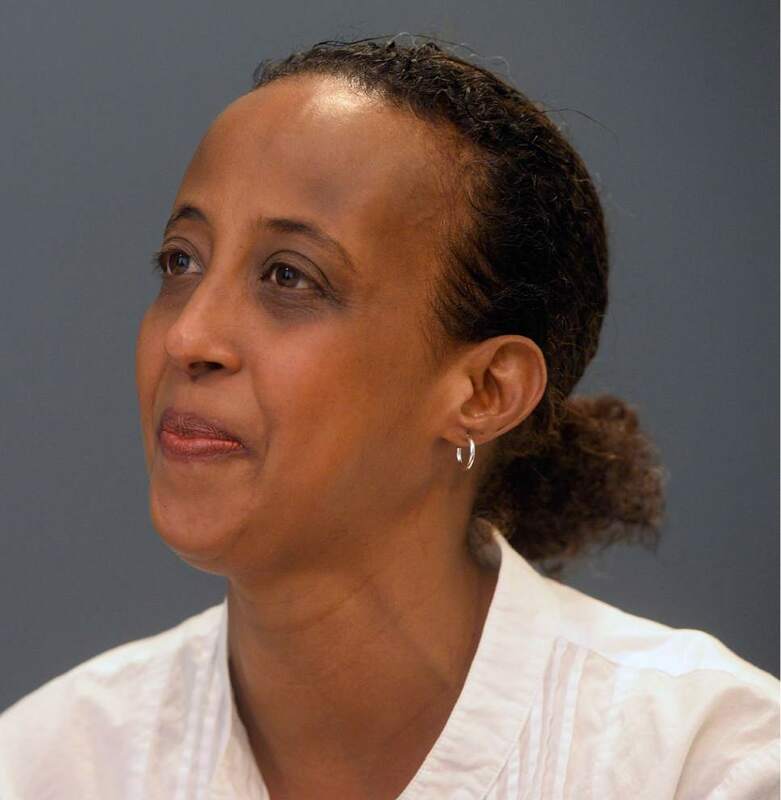 Al Hartmann | The Salt LakeTribune Nadira Yassin from Somalia was one of the first tenants at Artesian Springs, a new affordable housing project at 4200 S. Main St. in Murray. She lives there with her daughters. She likes the safe environment for her family. 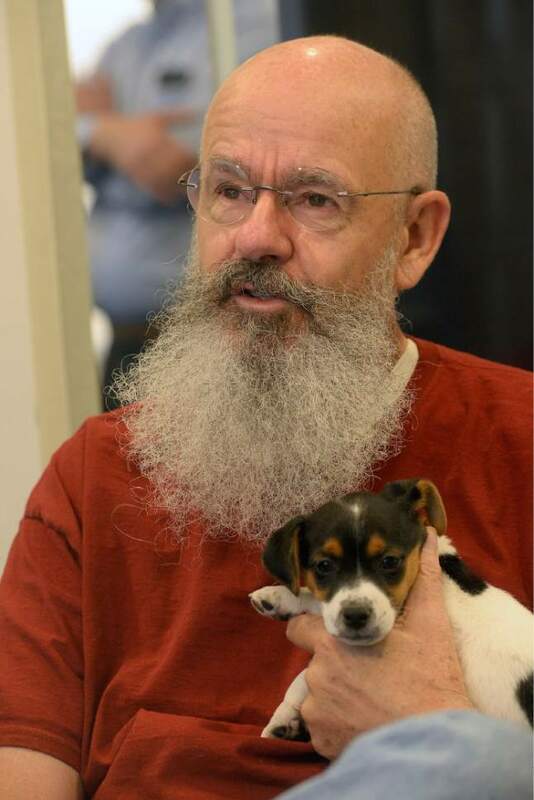 Al Hartmann | The Salt LakeTribune Lynn Cleland, 68, with his new puppy Spud is a new tenant at Artesian Springs, a new affordable housing project at 4200 S. Main St. in Murray. He was formerly homeless and living out of his car. He likes his new apartment and the stability it provides. 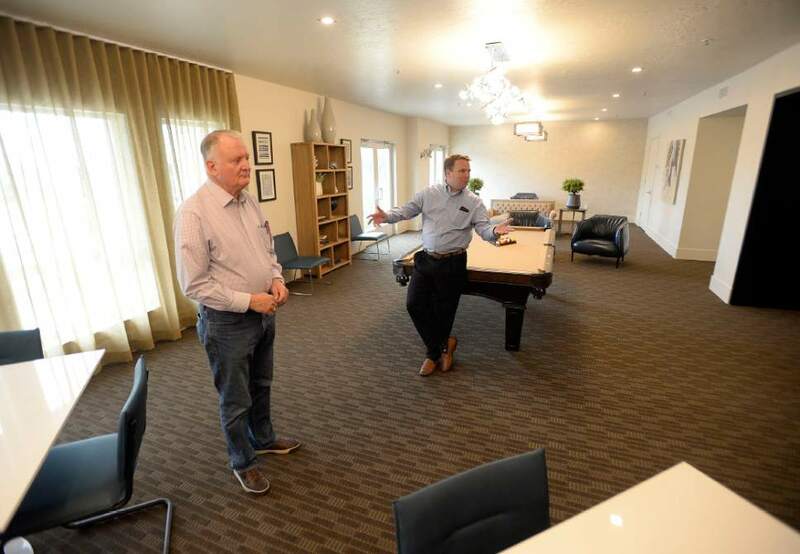 Al Hartmann | The Salt LakeTribune Hooper Knowlton, left, and son Bill Knowlton in the common room at Artesian Springs, a new affordable housing project at 4200 S. Main St. in Murray. The apartments haver been developed on the site of the old Murray Laundry tower . 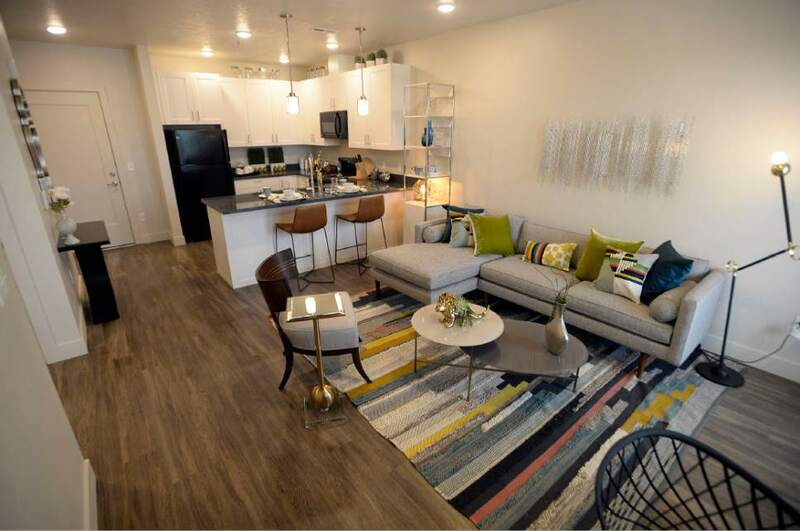 Al Hartmann | The Salt LakeTribune One bedroom model apartment in Artesian Springs, a new affordable housing project at 4200 S. Main St. in Murray. It has a side walk-in closet. The apartments haver been developed on the site of the old Murray Laundry tower. 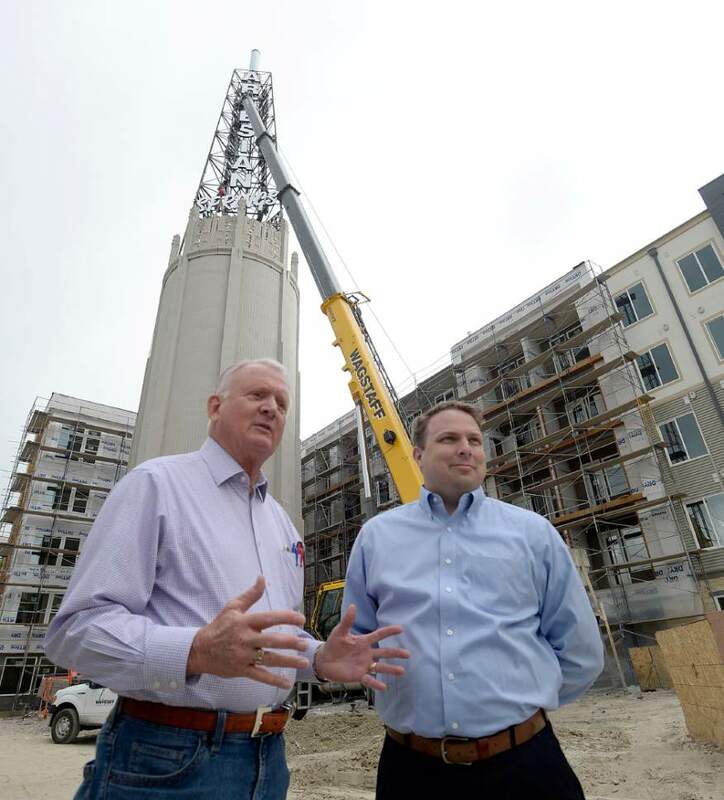 Al Hartmann | The Salt LakeTribune Hooper Knowlton, left, and son Bill Knowlton stand in front of the third phase of Artesian Springs, a new affordable housing project at 4200 S. Main St. in Murray. The apartments haver been developed on the site of the old Murray Laundry tower (in the background.) The art deco style tower that's been there for decades and a landmark is being restored. 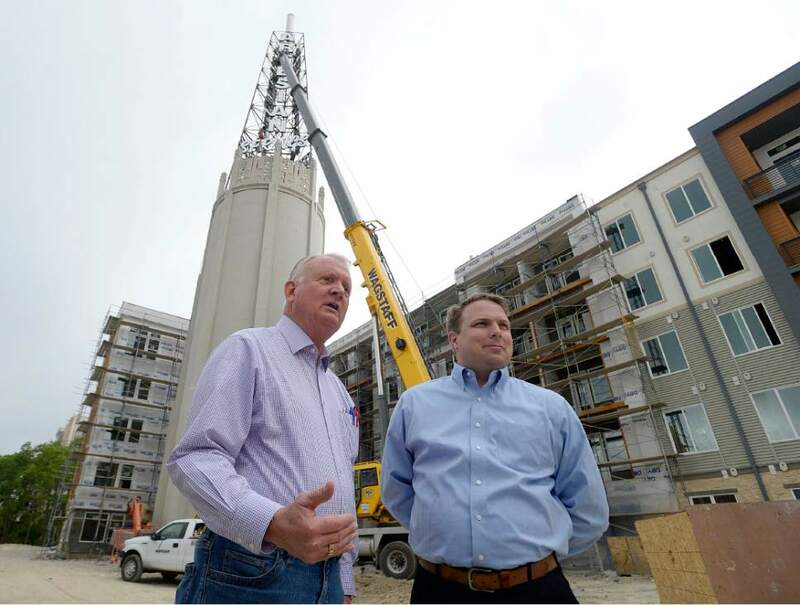 Al Hartmann | The Salt LakeTribune Hooper Knowlton, left, and son Bill Knowlton stand in front of the third phase of Artesian Springs, a new affordable housing project at 4200 S. Main St. in Murray. The apartments haver been developed on the site of the old Murray Laundry tower (in the background.) The art deco style tower that's been there for decades and a landmark is being restored. Al Hartmann | The Salt LakeTribune Living room-kitchen area in a one bedroom model apartment in Artesian Springs, a new affordable housing project at 4200 S. Main St. in Murray. The apartments haver been developed on the site of the old Murray Laundry tower. Millcreek • Three years ago, Lynn Cleland was bunking in his car until a Veterans Affairs counselor directed him to some newly built subsidized apartments near 4200 S. Main. He&apos;s lived there ever since. One of his neighbors is Nadira Yassin, a native of Somalia and single mother of three teenage girls. Another is Hooper Knowlton, the real estate developer who not only built the Birkhill and Artesian Springs apartments, but he also calls them home. "We have found the blend of affordable housing and market rate units to be successful," said Knowlton, whose company is scheduled to hold a ceremony Wednesday to mark the opening of Phase 2 of Artesian Springs, a 377-unit apartment complex just north of Birkhill. "We have senior analysts from Goldman Sachs, people out of the attorney general&apos;s office and doctors at Intermountain Healthcare," he said, living side by side with "people coming out of The Road Home [homeless shelter], VA housing programs and refugees from places like Sudan and The Republic of Congo. All of these people living in this setting  and it works." Salt Lake County officials hoped that would be the case when they set up the West Millcreek Redevelopment Area in a dilapidated commercial district between 3900 South and 4500 South, from State Street west to the railroad tracks. And now that this area has become part of the new Millcreek City, Mayor Jeff Silvestrini would like the completion of Artesian Springs (a third phase will be done later this year) to stimulate more urban renewal in this "transit-oriented development" along the Utah Transit Authority TRAX Blue Line. "We&apos;re hoping this particular project is a catalyst to utilizing this infrastructure as we grow in population," Silvestrini said. "I would like to see all of Main Street through Millcreek be built out with developments like this  with housing and streetscapes where we can have big sidewalks and an urban feel." "Every city has a responsibility to have an affordable-housing plan," he added. "This mixed-income housing is an excellent idea so we don&apos;t create [housing] projects like in some big cities, but options that are economically integrated. That helps bridge divides." "Projects like this are the keystone to redevelopment," said Carlton Christensen, the county&apos;s director of regional development. "They set the standard for other projects to follow. We don&apos;t anticipate [Artesian Springs] to be the last. This is a community that would benefit from an even stronger housing base." Parleys Partners first got involved in developing mixed-rate apartment complexes in 2010, obtaining tax credits from the Utah Housing Corp. to subsidize units for people who earn less than 60 percent of the area&apos;s median income. For an individual, that&apos;s about $28,000 a year. "When we first did it, the state and the banks told us we were nuts" to mix people getting subsidies with people who could easily afford the units, Knowlton said. "Now it&apos;s the industry standard." 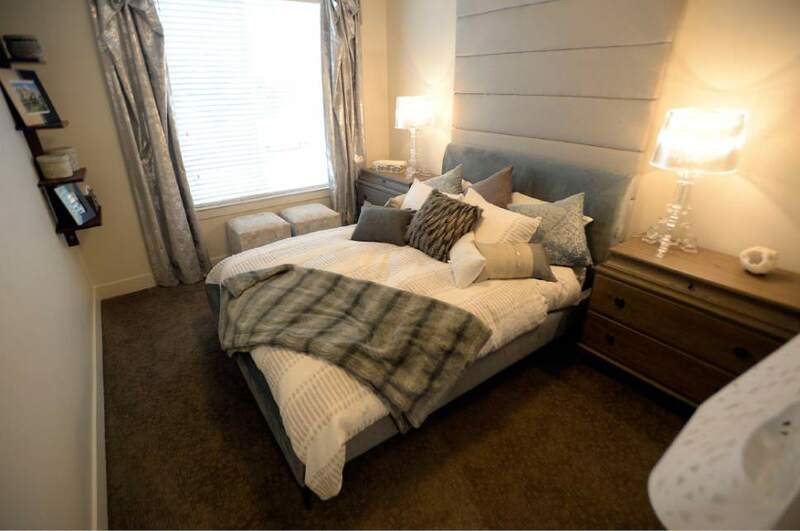 With underground parking and a host of amenities, from backyard barbecues to swimming pools, the Artesian Springs and Birkhill complexes provide comfortable living quarters for Yassin and Cleland. "I feel very safe here," said Yassin, who works nights as a medical technician at a senior living facility. "It&apos;s a really tight, nice community. We have a mix of young people and old people, people from all walks of life. We know each other well and go out of our way to help each other." "This is the mix of the world over here," added Cleland. "It put some stability in my life; otherwise, I&apos;d still be living in my car."